Core Gaming describe themselves as a world leader in the development of HTML 5 gambling games and we have to agree given the quality of the slots they produce. 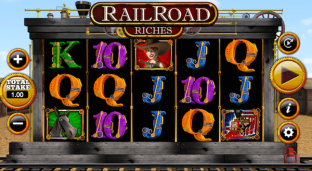 Their games feature extensively on Sky Vegas and include exclusives such as Tipping Point and Celebrity Juice slots. If you’re not a Sky Vegas player then you can still find Core Gaming slots at other sites. These include Bet365, Gala Casino, William Hill, Unibet and Betfair. Below are some of their games that we’ve reviewed here on Spins. Although Core Gaming doesn’t have the biggest portfolio of titles they do have more than the handful we’ve reviewed above. Other title’s include Jackpotz, Beehive Bedlam Reactors, Reel Force 5, Balthazar’s Wild Emporium, Mandarin Orchid and Bar Star. They also work with a number of other software developers including ABlueprint Gaming, IGT, Scienfific Gaa,es and Ash Gaming (Playtech). Core Gaming are based in The West Midlands and is licensed by Alderney Gaming Control Commission and, in the UK ,by the Gambling Commission.